Cook the broccoli in salted, boiling water for four minutes, drain and refresh under cold water. Blanch the potato slices in boiling water for three to four minutes and drain. Grease some ramekins with butter or oil and line with the potato slices. Mix together the apple, broccoli and Stilton and divide between the moulds. Mix together the cream, egg yolks and seasoning and divide between the moulds. Bake in the oven for 9 minutes until golden. 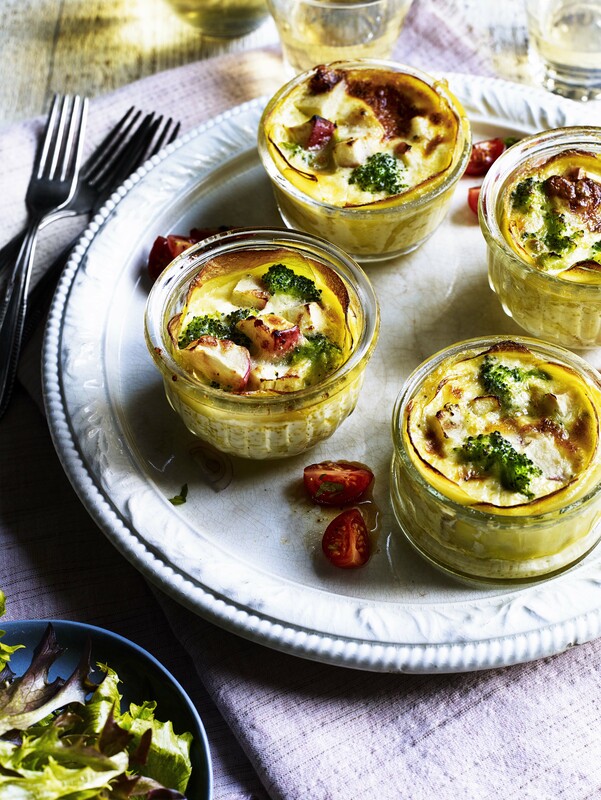 Cool a little and serve in the ramekins with salad.